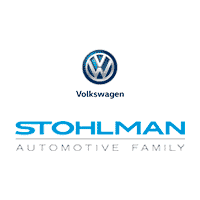 If its been a while since your car got new tires, you may be wondering, “How do I check tire tread wear?” Stohlman Volkswagen’s service center has you covered. Checking tire tread depth is simpler than it sounds. You’ll just need a ruler or a penny — and you’re set. Read on to learn more about checking tire treads and the recommended depth. What’s a Safe Tire Tread Depth? Tread depths vary from tire to tire. Usually, new tires have tread depths of about 10/32 or 11/32 of an inch. Heavy-duty tires, such as winter tires or off-roading tires, tend to have deeper tread grooves for improved traction. So, when is a tread depth too shallow? When your tire reaches 2/32 of tread, the U.S. Department of Transportation recommends tire replacement. Adequate tread depth isn’t just essential to a strong road trip; it’s also necessary for safe driving through Vienna. Place a penny between the tread grooves of the tire. Make sure Lincoln’s head is upside down. Determine how much of Lincoln’s head is covered by the grooves. If all of Lincoln’s face is visible, your treads are 2/32 of an inch or less and you need to replace your tires. Complete this test on several areas on each of your car’s four tires. Is your Volkswagen due for an inspection or tire replacement? Our service center can help! We can help you keep tabs on tire pressure, replace old tires, and give you tips for making your tires last longer. Have questions? Contact our service center directly.